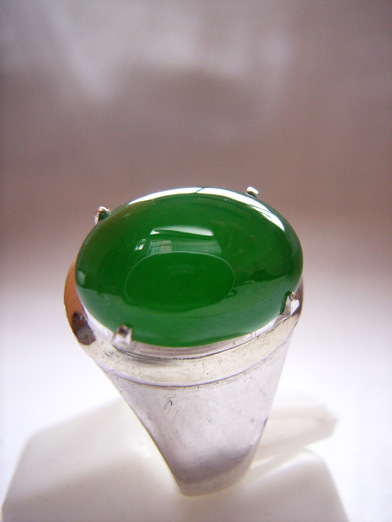 SOLD Jadeite of this quality is so rare these days, Imperial is what people say when they see this Jadeite cabochon. The texture is great as is the transparency. Weight is 3.90 ct. It is standard practice at jade markets to show quality pieces set in a ring. This gives the customer an idea how great the jade looks with a backing.